By now, if you believe much of the media, you have come to believe that the Israeli Defense Force (IDF) has been using water cannons, tear gas, rubber bullets and even live ammunition on innocent children protesting on the Gaza side of the fence. They have also told you that these youths are protesting the miserable conditions under which they live with the oppressive Israeli masters lording over Gaza. The sob story is an entire fiction and there is much which has been ignored by much of the world media, especially the European and American leftist media outlets. They have taken the usual adversarial approach to Israel and now they have an additional reason to do so, President Trump appears to be supporting Israel. The leftist media in Israel along with some outlets beyond Israeli shores have also been attempting to drive a wedge between the Israelis and President Trump which we will explain quickly and then tell you what you have not heard about Gaza and the demonstrations. The most recent rumor being spread is that President Trump is going to demand that Israel surrender half of Jerusalem to the Arab Palestinians and give much of the remainder of the city beyond the Green Line to the United Nations to care for as an international zone while having Israel also surrender much if not the remainder of lands beyond the Green Line for an Arab Palestinian State. They claim these are the rumors circling from aids off the record from within the White House. Fortunately, the reality is that none of this is even close to being truthful and is a smoke screen being put out to try to have Israelis react with defiance towards President Trump and possibly offend him to the point that he cancels the announced moving of the American Embassy to Jerusalem later this month. 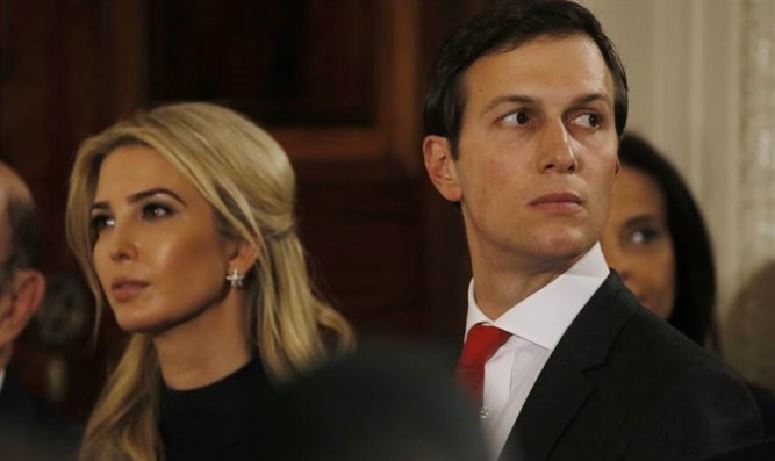 This is highly doubtful as there are also reports that President Donald Trump’s daughter Ivanka and her husband Jared Kushner may be planning to attend the opening of the new American Embassy in Jerusalem. This definitely does not sound as if there is any possibility that President Trump would be making any plans other than what has been announced and expected concerning the moving of the embassy. Now, let us return to Gaza and the presumably peaceful demonstrations. The one item they have gotten correct is that the Arabs residing in Gaza are largely facing a humanitarian crisis due to the complete mismanagement of their entire governance. What they have completely wrong is that Israel has anything to do with their problems or the deplorable conditions forced on all too many Gazan families. The supposed blockade is nothing more than an inspection of what is imported into Gaza in order to make certain that Hamas and the other terror organizations are not importing weapons making materials or actual weapons. All aid is sped through often being inspected and delivered the same day it is unloaded and the rest is delivered the next morning. The main problem is there are times when Hamas closes down the transfer point and then claims to a willing media that Israel has stopped the deliveries. 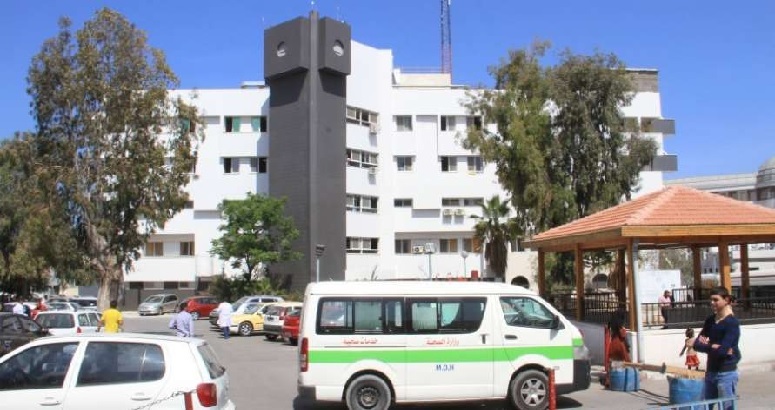 Hamas has been known to simply leave the delivered material sitting until it is no longer usable which has deprived Gazans of much needed medical supplies and other perishable goods. Hamas and the other terror groups have been known to fire rockets and mortars at the trucks delivering the goods hoping to kill the drivers. Israel delivers the goods across the Kerem Crossing where it is then left for Hamas drivers to take the remainder of the way and to the distribution points. According to Xinhua, Gaza’s border authority has registered a decline in number of trucks since 2017, Gaza border official Raed Fattouh stated, “Roughly 1,000 trucks of goods destined for Gaza passed through Kerem Shalom crossing every day in the upper half of last year, but the figure has been declining for the past six months, to the lowest level now,” Part of the problem is that Israel can only provide the aid received at their port and aid has dwindled over the past eighteen months as the world has had their attention diverted to other more pressing problems and is tiring of attempting to fill the bottomless pit which is the demands of the Arab Palestinians who never appear to improve no matter the amount of aid they receive, they just demand more. The other thing is that Israel does not oppress the Gazans and has little to no influence over their governance as Hamas ruled the entirety of Gaza with the Israelis having completely pulled out from Gaza in August of 2005. The economic problems and lack of rebuilding of apartment buildings and other structures is completely on their own governance which is under the steely grip of Hamas and Islamic Jihad. 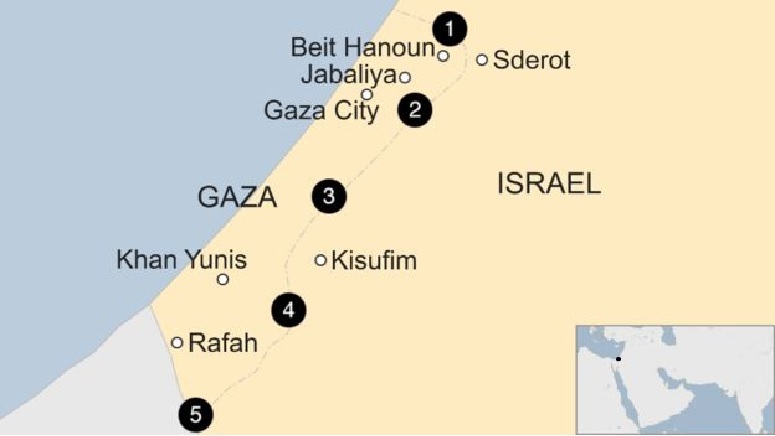 Hamas has taken repeatedly building provisions which have been provided by the United Nations once, the European Union twice and others have also arranged to send cement, concrete, rebar, lumber and electrical wire and fixtures and the main thing that Gazans have to show for this are the Hamas bunker and tunneling network which includes infiltration tunnels built under the border into Israel, most of which have been destroyed upon discovery by Israel as any government would do to tunnels built by terrorists from across their border in order to attack their people. This has not been a surprise to any in the world except those turning a blind eye. 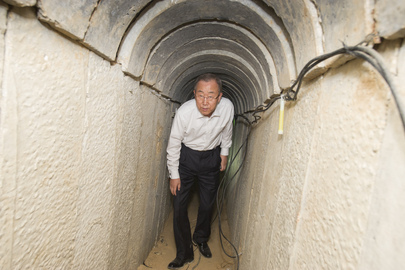 The proof is below in the image of Ban ki-Moon, United Nations Secretary-General inspecting the new Hamas Tunnels on one of his visits to Gaza and in this video. The world knows what has happened, what is happening and who needs to have the blame laid at their feet but prefer to try to complain that Israel needs to do more. The truth is they desire to do less as their efforts of aiding Hamas have not produced the results at a level they find adequate and are less and less interested as time passes. They have witnessed their aid being diverted and not being utilized as intended to aid the people of Gaza but instead gone to attempt and destroy Israel, something which Hamas will never succeed in doing. These failures by Hamas are part of why there has not been the huge deal with meetings at the United Nations and European Union over these Gaza riots on the border outside of the breathless media reporting, and even this has been at a less fevered pace than past times. We have already reported about the Hamas demonstrations being driven by Hamas partially to distract from the horrid economic situation their stealing of resources and heavy taxation have produced. This is the reason that there have been reports of near economic collapse in Gaza and not because of any actions by Israel. There will still be those who will insist that it must be Israel for reasons which are easily realized by any reasonably astute observer. But the latest actions go well beyond their burning of tens of thousands of tires ruining air quality over a wide area just to provide their terrorist with a smoke screen to attempt to breach the border fence. They have caused more damage and losses of productivity for the Israeli farmers near the Gaza border than had the sniper fire across the border. Their throwing Molotov cocktails and slinging rocks were mostly a problem for the IDF troops manning the border, but they have berms behind which they stay fairly safe. The IDF has utilized mostly crowd control measures with some use of rubber bullets when there were actions to storm the fences. They have restricted live fire to people damaging monitoring equipment along the border, attempting to breach the border fence or shooting at IDF position and Israeli civilians working their fields near the border with approaching 80% of the 32 Palestinians killed by the IDF during the ongoing Gaza border crisis as of April 11, 2018, were terrorist operatives or identified with terrorist organizations according to an intelligence report. The reports of IDF having shot at journalists has been refuted as half of those shot have been confirmed as actually belonging to Hamas and Islamic Jihad as terror operatives or having been members of Hamas media outlets. But the one most under-reported set of incidents has been the “kite-bomb terror” which consists of Gazan youths, always youths so if they are harmed they have a great camera op for the reporters and stringers to give to the media waiting for just such evidence while comfortably in five star Tel Aviv hotels and coffee bars, flying kites with incendiary materials and allowing the kites to fall onto Israeli farmer’s fields in order to set them ablaze. They have wiped out a number of wheat fields and set a forested area on fire which took ten fire companies several hours to extinguish. The Israeli Air Force struck one of the Hamas positions near the border fence which was used by Palestinians to send firebombs tied to kites into Israel. Below find an Al-Jazeera produced video showing Gazan who had successfully breached the border fence and entered Israel. Their efforts appear to be more of a joyful run allowing them to later brag how they made their assault into Israel, with some flourishes. These were obviously taken by one of the youths with their cell phone. The Gaza demonstrations have had two separate complexions, one which has gotten the most coverage has been families having picnics over five hundred meters from the border and many teens using slings to hurl rocks across the border from a fair distance from the fence and then the other side where terrorists have crawled to the fence with AK47 in hand and engaged the IDF in live fire, much to the terrorists being shot dead (see video below which has several tactical video showing damaging of border fence and shooting attack at border fence). These have been the individuals which have drawn live fire from IDF forces as they are guarding the border. Another item not being told is that it is well known that as long as Gazans allow a respectful distance between them and the fence and are otherwise not posing a threat, then they will be perfectly safe. These riots have been anything but passive events and Hamas has been behind the entire series of events. The events can be and are summed up by the video below and show some of the tactics being used by Hamas and the disinformation being spread by much of the media. It depicts why some innocents end up caught in the deadly crossfire and how Hamas has intentionally used smoke to screen events which leads to innocents being placed in danger, as they are encouraged to accompany the terrorists in attacking the fence and as shields for Hamas shooters. Israel may next have to consider how to react to those flying the firebomb-kites. These are an attack on the fields and property across a border. They are as, if not more, destructive as artillery would be and are doing just as much damage as Hamas rockets have done in the past. How long would France stand still while somebody was setting French farmers’ grape orchards on fire? How long would the United States stand down if a foreign party were flying incendiary balloons and setting corn and wheat fields ablaze along with national forests? How long does any nation stand for their borders being breached with the intent of causing damage to their fields, homes, businesses, properties and murdering their citizens? How much is too much? Obviously, according to many around the world, Israel is supposed to simply absorb everything thrown at her simply because we are supposed to be the nice ones. Well, nice ones eventually get upset beyond reckoning and then really bad things happen. Perhaps if the Gazans would demand that their rulers, Hamas and Islamic Jihad, would spend the time and effort they put into harming Israel into helping their people and working towards having a healthy economy rather than syphoning off as much as they are able to spend on a fruitless war against Israel, then perhaps their would be jobs and even possibly have peace and prosperity. The same problem exists with the Palestinian Authority to a slightly lesser degree, but both sides have actually worn out their one good will with the world with only the media carrying their water any longer. It is sad to see governance so preoccupied with destroying their neighbor that they are willing to sacrifice their youth in the name of hatred. What is happening in Gaza is so cruel to the Gazans and it will not gain them anything beyond a shortage of tires. It is almost predictable, but there will be a complaint that many Gazans vehicles are no longer serviceable because there is a lack of tires in Gaza, and the media will claim Israel burned their tires. When that report ever reaches the news, please just laugh at the report as it will be just as ridiculous as is much of the reporting on the Gaza peaceful demonstrations, or should we be truthful and call them riots. There actually is life outside of politics and sometimes it becomes more challenging and fraught with agony, tragedy, fears, hopes, frightening possibilities and a few slivers of hope. That would be one way of describing this past month in Mexico where they have been struck by a series of devastating earthquakes with perhaps Mexico City feeling the hardest strikes. Nations have sent their teams to assist with the recovery and searching for survivors in the aftermath and, as usual, Israel is amongst those nations. Israel dispatched their Israeli Defense Force (IDF) specialty teams and they are on the ground working with the Mexican authorities and coordinating with other units to maximize their assistance. Below is a short video showing, amongst other items, the reception they received upon their arrival in the hard hit center of Mexico City. These IDF soldiers of mercy have left their families behind and are spending the Jewish New Year, Rosh Hashanah, in Mexico. They did not let being in Mexico interfere with one very important part of the Rosh Hashanah service to go unheard as they gathered when able to hear the shofar as seen below. The introductions aside, the events which brought the IDF relief services as well as those from other nations were some devastating earthquakes. 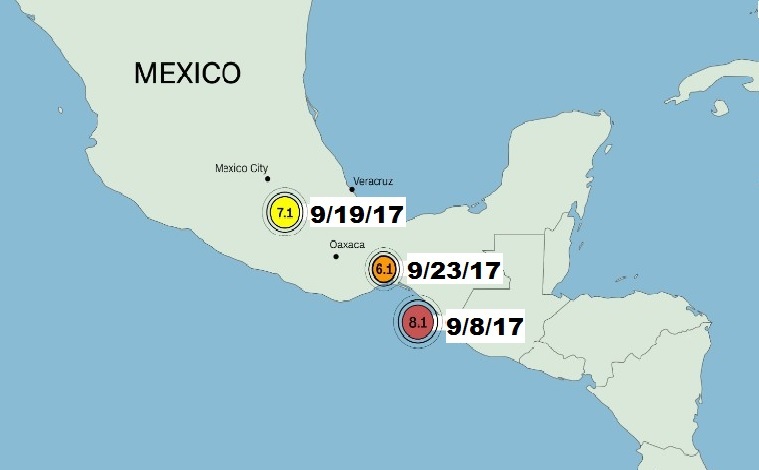 These quakes have shook Mexico throughout this month with measurements of 8.1, 7.1 and finally another at 6.1 starting with the largest on September 8 off the southern Pacific coast, near Chiapas state. The damages have been extensive and hundreds have lost their lives and many thousands injured with the searches continuing for survivors as well as other victims still buried in the rubble of collapsed buildings. Below is a video showing some of the events from the latest earthquake. These IDF soldiers and officers are different from the usual medical as well as search and recue teams which Israel is well known for providing, but the Mexican authorities informed Israel that they had these areas well covered and requested Israel assist in other areas. So, responding to the extraordinary needs, this Israeli delegation consists of seventy-one soldiers from Home Front Command including construction specialists and engineers. They will be tasked with scanning and inspecting buildings damaged from the earthquakes to determine whether they are reparable, need to be demolished or are habitable. Col. Itamar Cohen announced that as they arrived thirty-six hours after the earthquake struck, the units were still able to assist in lifesaving operations. Col. Cohen stated, “We will stay here as long as it takes to continue carrying out rescue operations.” The earthquakes were spread seemingly along a single fault line, but they are actually located on what is called the Mexican subduction zone, a weakened area in the earth’s crust. The largest of the earthquakes occurred along a known major fault with the others falling along the weaker zone likely triggered by the large 8.1 quake. Let us pray that we have heard the end of aftershocks, if you can call 7.1 and 6.1 aftershocks and not subsequent earthquakes. The World Para Swimming Championships which were to be held in Mexico City near the end of September have had to be postponed. The Israeli delegations of six swimmers, their coach and three assistants returned to Israel aboard the same plane which brought the relief team. Meanwhile, the damages to the Mexican nation are beginning to be realized and it has been extensive with numerous structures having collapsed and an unknown number potentially having been damaged beyond repair and thousands likely to be made homeless. 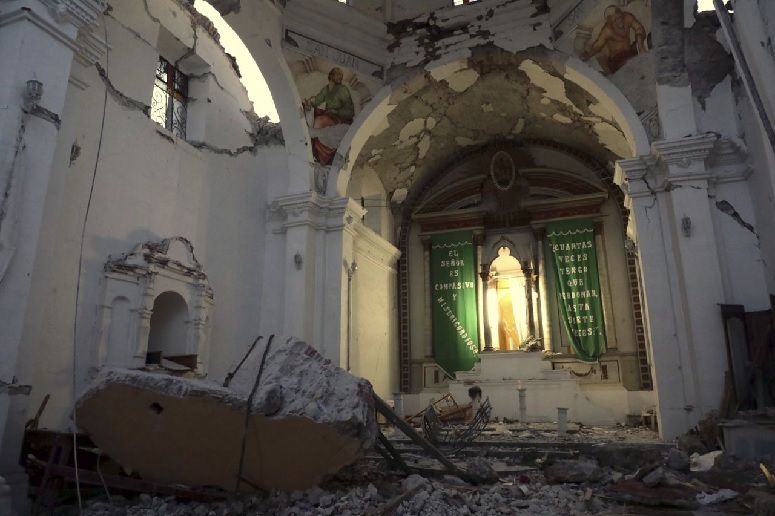 The Apostle Catholic Church in Atzala collapsing has been considered an example of the disheartening destructions across a large swath of Mexico resulting from the series of devastating earthquakes (see below). The church collapsed during the baptism ceremony for a two-month-old baby and resulted in the death of eleven family members, including the infant and three other children. The sole survivors were the child’s father, the administering priest and his assistant. Three days of mourning have been announced by the Mexican President. Meanwhile, orders have been given for the evacuation of many of Mexico City hospitals fearing their structural integrity. Hampering the caring for the injured and other efforts, have been constant intermittent power failures. Numerous roadways and highways have been damaged by these earthquakes. 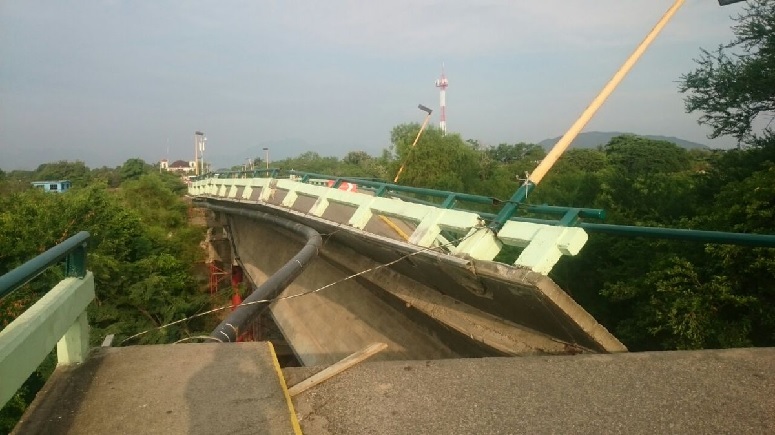 A major bridge in the Oaxaca highway system finally collapsed after the most recent earthquake along the Coatzacoalcos-Salina Cruz Branch of the highway system (see below). This was just one of the major roads to suffer closure due to cracks in the road surface to structural damage rendering overpasses and bridges unsafe for traffic bearing loads. Such a series of earthquakes has been devastating to Mexico in every way possible disrupting businesses with many ventures unlikely to continue, as they will be unable to recover from the damages. The disruptions have struck lives, families, businesses, cities and the nation as a whole all of which will take quite some time for the nation to make a full recovery. It will take aid from numerous sources and assistance from experts across numerous fields and likely from many nations. As already stated, the Israeli team of IDF structural, construction and engineering teams from the Homefront Command will remain in Mexico for as long as required. President Trump has also offered any assistance and expertise which the Mexico government requests as well as disaster relief. We can only hope such will be sufficient and that with the prayers and an end to these disastrous earthquakes, that Mexico will recover before too long. The only thing left to accomplish is to offer a prayer for the people of Mexico and may the rescue efforts succeed in reaching everybody trapped in the rubble in time and with only the most minor of injuries. We hope the worst has passed and the future will bring relief and rescue to those in need and hope for those now in pain. Here is a prayer that Mexico recovers and will be reinstated to her full glory and find herself restored in all ways and means possible.